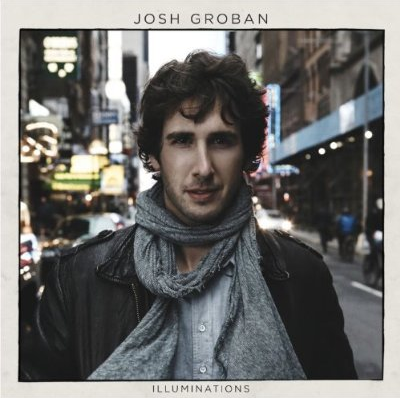 Josh Groban Announces Exclusive Live-Streaming Concert Event for Fans Who Purchase Physical Copy of New Album "Illuminations"
A very special concert and Q&A with internationally renowned singer and songwriter Josh Groban will be broadcast live on Upstream exclusively for fans who purchase a physical CD copy of Groban’s new album Illuminations. The concert and interactive Q&A will take place on December 2nd at 8 p.m. ET / 5 p.m. PT. Fans who purchase the Illuminations CD, which will be released by 143/Reprise Records on November 15th, should look for a sticker on the album that will include a special code that is needed to view the live stream of this special one-time-only event. This is the first time an artist has offered consumers the opportunity to watch an intimate online performance of the songs on the album they have just bought and is Groban’s way of giving his devoted fans more value for their purchase. Groban recently performed several intimate shows, featuring just him on piano and accompanied by his guitarist as a way to involve the audience in the initial planning stages of his Illuminations World Tour in 2011. The 29-year-old Los Angeles native displays both artistic and personal growth on Illuminations — the rewardingly surprise-filled result of the unexpected teaming with veteran producer Rick Rubin, known for his iconic work with Metallica, the Red Hot Chili Peppers, Johnny Cash, and the Dixie Chicks, among many others. The unprecedented partnership saw both Groban and Rubin stepping out of their respective zones to come together and create an entirely new zone where art meets intimacy and immediacy meets timelessness. Most importantly, Groban — who ranks as Billboard Magazine’s 14th top-selling artist of the 2000s with more than 20 million units in the U.S. alone — was free to express himself at his fullest by tapping into a new range of expression and emotional connection with lyrics drawn straight from the heart. Lead song “Hidden Away,” which is currently available from all digital service providers, provides the album’s emotional and artistic center — its plea for a romantic ideal given a musical setting that highlights the raw honesty and natural gifts of Groban as a singer, musician, and writer. Groban first broke through in 2001 with his self-titled 5x-platinum self-titled debut, followed by 2003’s 5x-platinum Closer and 2006’s 2x-platinum Awake. In 2007, Groban became the best-selling recording artist of the year thanks to sales of Awake and his blockbuster 5x-platinum Christmas album, Noël, which spent five consecutive weeks at No. 1 on the Billboard album chart. Groban and his recordings have been nominated for more than a dozen awards including an American Music Award, a World Music Award, a Juno Award, two Grammy Awards, and an Academy Award for “Believe” from the 2005 film Polar Express. He has sold more than 25 million albums worldwide.